The Alabama Arabian Horse Association brought its annual Riverboat Parlay to the Expo Center in Tunica, Miss. for the third year. The “Parlay” is two shows combined: March 20-21, Region 14 & 15 Double Qualifier, and March 22-24, Region 9 & 12 Double Qualifier. 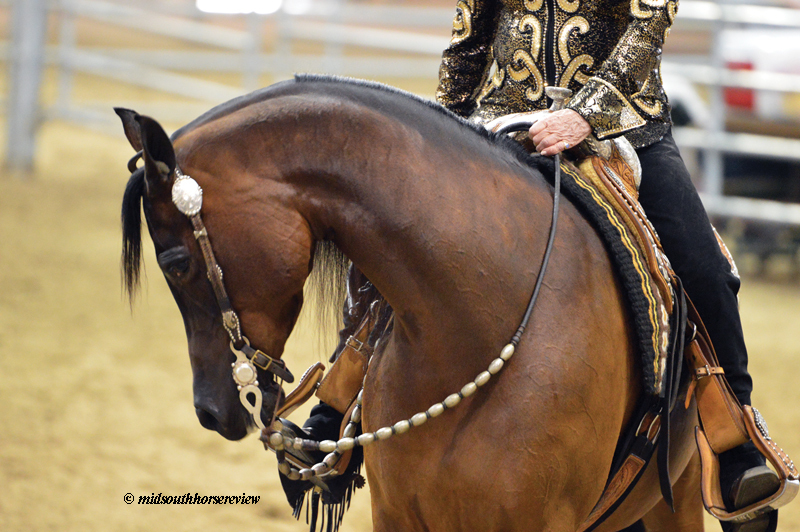 For the uninitiated, there are 18 Arabian horse show regions in the U.S. and Canada. And this show is the only four-region qualifying show in the country! 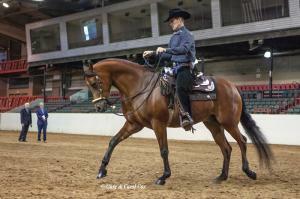 There were Arabian and Half Arabian classes for Amateurs, Juniors, and Open in the AHA and USEF approved Class A show. But there was more! A Sport Horse division, both in hand and under saddle; Dressage; new this year – Open Breed Western Dressage; Ranch Riding; Reining; and another new this year – Hunter Over Fences. 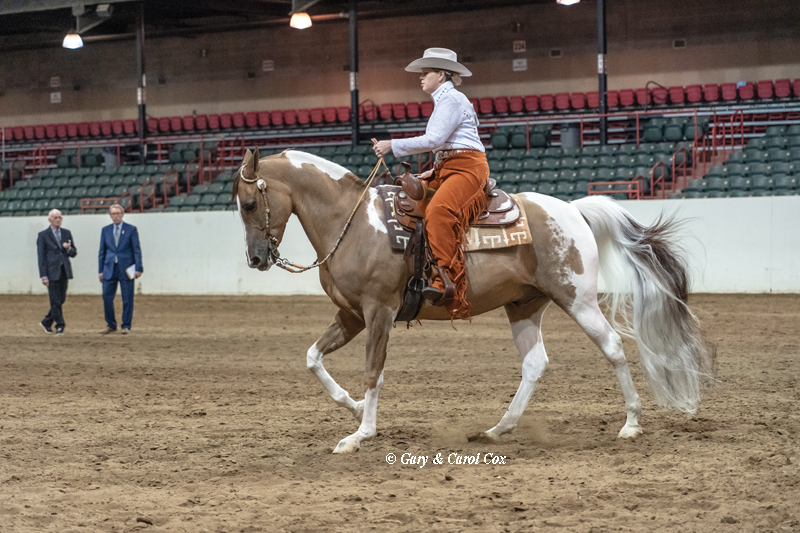 Show entries were up this year, too, with 164 horses showing, brought in from all over the mid-south: Texas, Missouri, Florida, Virginia, Illinois, Tennessee, Alabama, Georgia, North Carolina, Kentucky, Arkansas, and Louisiana. 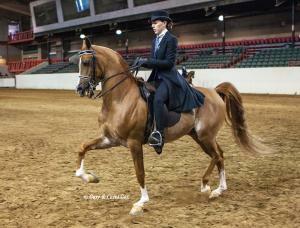 There were national champion caliber horses there, as well as a horse named Elvis. Judges were Van Jacobsen, LaRae Fletcher Powell, Christy Higman Clements, and Carmelle Rooker. Dressage judges were Marilyn Kulifay and Susan Posner. Sport Horse and Hunter judges were: Dianne Grod and Megan Maccalllum; Sport Horse & Dressage judges were Heather Stalker and Brian Macnahon. There were also two learner judges: Joe Alberti and Jeff Caldwell. It takes a lot of volunteers to put on a show like this and their efforts were recognized and appreciated at the “dice toss” on early Saturday afternoon, where the winner took home an additional $500. Show manager Tom Chasteen was given the Bill Dinan Award. 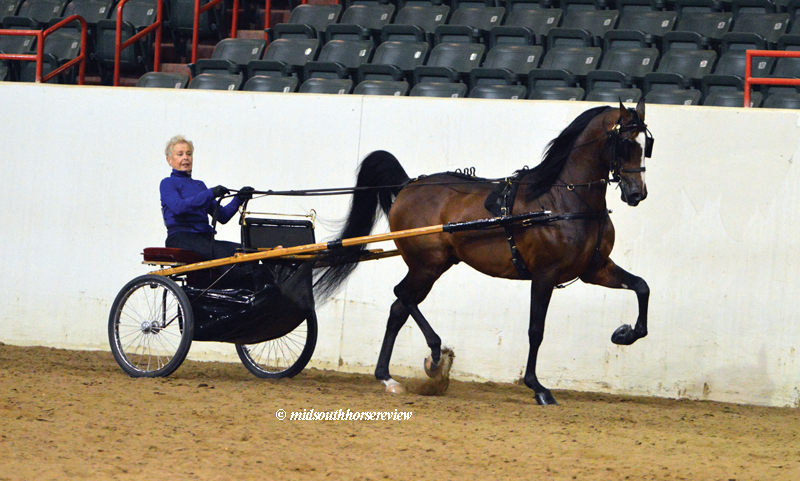 Tom said, “The award was quite a surprise!” Bill Dinan is a long-time Arabian horse enthusiast and promoter. 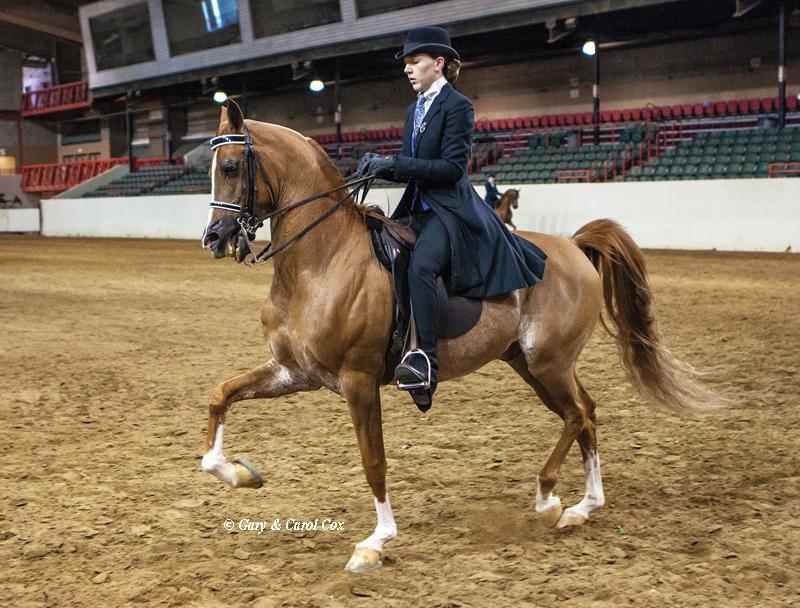 The Arabian Horse Association lists Bill as number three in the number of people who have achieved 1000 hours in their frequent rider program. 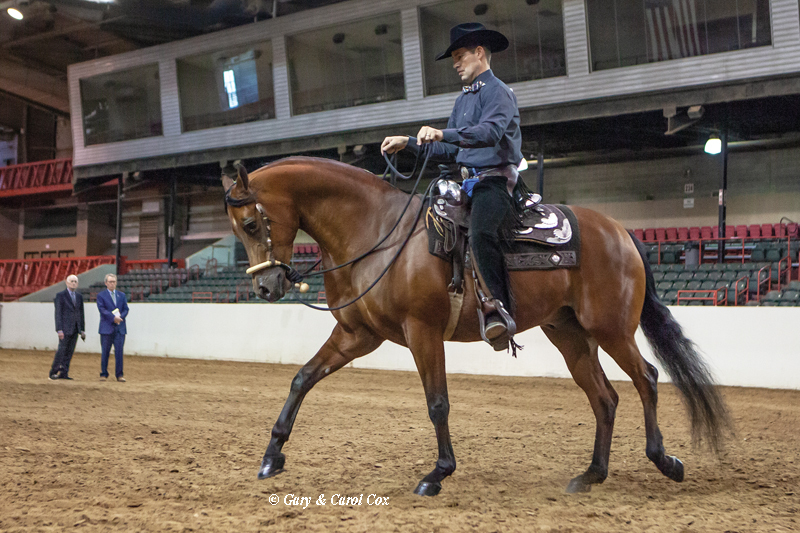 Bill has 2,451 hours – just 30 hours shy of the first place rider. Chasteen had many good things to say about the show. “The turnout was fantastic! We did a lot of things differently at this show, in an additive way. 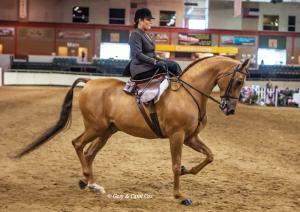 We included Open Breed Western Dressage in both shows; we added hunter over fences classes; and we had dressage in both shows. We had 164 horses at this Class A show – the highest total in three years. We had 105-110 ‘main ring’ horses, with the rest Sport Horses. 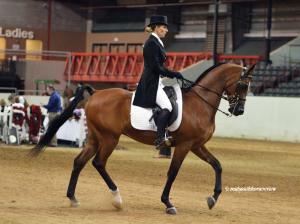 In our first time offering hunters over fences we had 21 horses, so it was well received, as was Western Dressage. 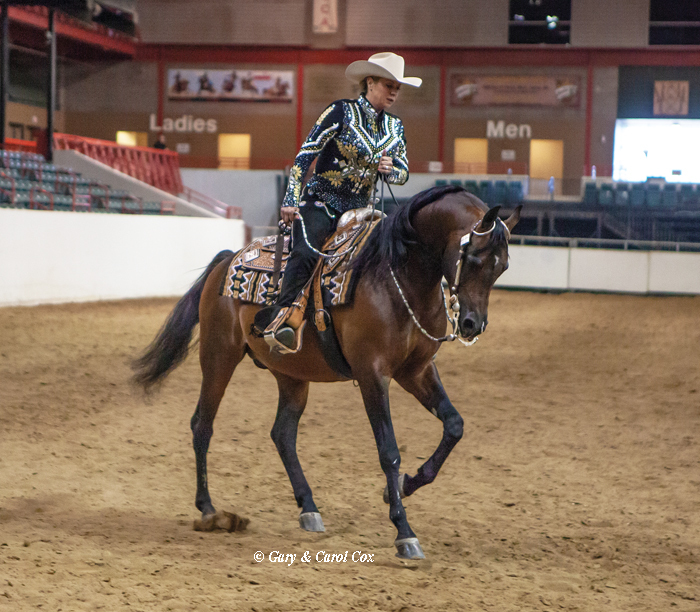 It was a very successful show!” Chasteen said they would be back to Tunica next year around the same time of year. Find more information about the 2019 show at: www.alabamaarabian.com.